Pick from a great selection of stock designs and simply pop your logo onto our personalised Value Advent Calendar. 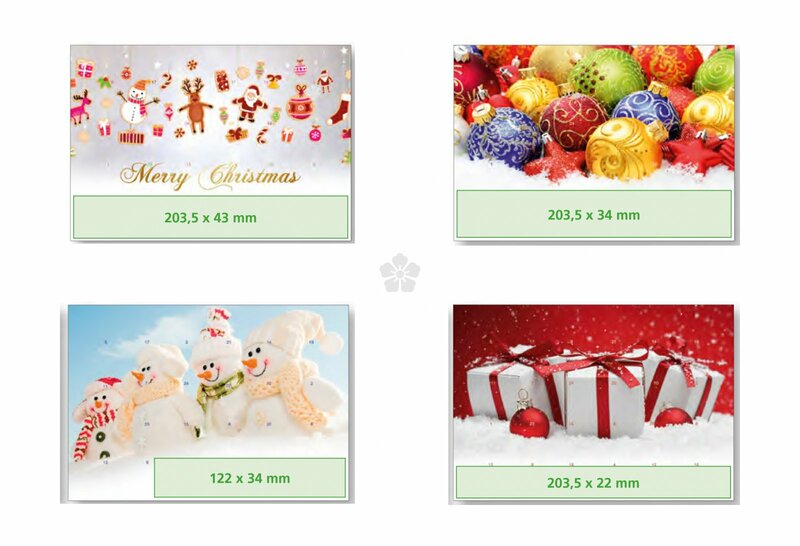 Brining Christmas cheer to your clients has never been simpler! 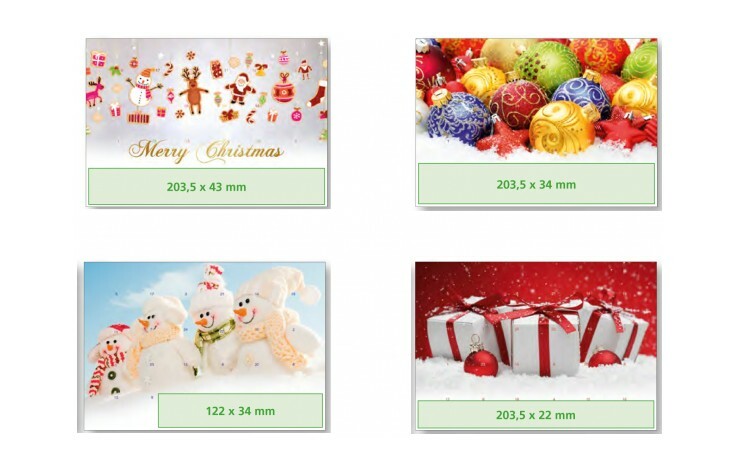 This European made Advent Calendar offers great value and a choice of 8 standard designs. Customised with your logo in 1 or 2 spot colours to the front. Contains 24 pieces of delicious German made chocolate with a minimum of 30% cocoa, each embossed with a standard seasonal motif. With a hanging clip and supporting foot stand. Select your design, place your logo and they're ready to go. Simple! Suitable for wall hanging or standing on your desk! Note: Setup is charged at £75.00 per colour.